Impact’s Surya Vesavkar is discussing failures in plastics at this year’s PDM conference on Wednesday 20th June at 13.30. 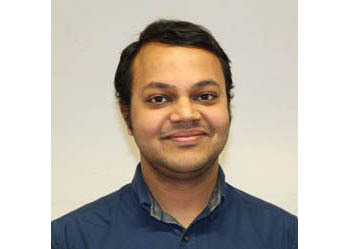 Surya joined Impact Solutions just over 5 years ago while studying for his Honours Degree in Polymer Engineering from Edinburgh Napier University. He previously completed a Diploma in Plastics Engineering, while in Mumbai, which provided a hands-on experience in plastic production, tooling, and product design. As Polymer Technologist, Surya sees everything that comes in and out of the Impact Laboratory. Through an innovative research and development project, he co-invented Impact’s BOSS system and has worked in numerous customer related projects including failure analysis, composite development, and material testing. • How plastics could exhibit different types of failures such as fatigue, molecular degradation/oxidation. • The failures might be hidden within the material, processing or environment. • How to help customers identify the mode and the cause of the failures undertaking simple tests and providing typical plastic failure examples. Surya will be available to speak to at the Scottish Plastic and Rubber Association (SPRA) stand, no D021. He is a member of the Scottish Plastics and Rubber Association and IOM3. The SPRA promote and support the advancement of plastics and rubber through science, engineering, manufacturing, and education. You will also find Corporate SPRA members, Impact Solutions at the stand. They will be able to help with any questions regarding SPRA membership or can provide more information on the services and testing which they can offer. Impact Solutions is an independent materials testing and innovative problem-solving provider. Their dynamic team is flexible and adaptable in using their diverse range of knowledge and skills to offer bespoke solutions. Whether you need the product or material testing, to develop an idea into something tangible or want to know more about a recycled material, Impact Solutions can offer you a 360º service. They will work with you and believe in developing commercially focused and sustainable results for customers. • Impact Laboratories, founded in 2002, as a spinout from BP Chemicals. As a UKAS & ISO 17025 accredited testing facility, no. 0402, the technical team are on hand to deliver a tailor-made service to meet your needs and challenges. • Impact Innovations is a new product and technology incubator, working with startups and R&D focused companies to develop their ideas from concept through to commercialisation. They have a vibrant team of highly skilled and experienced scientists, engineers and product developers to help both individuals and teams at each stage of the innovation journey. • The Scottish Plastic Recycling Centre of Excellence was established to take full advantage of the economic and ecological benefits of the circular economy. By acting as a technical link between recyclers and manufacturers, Impact’s Centre of Excellence will increase the quality and quantity of recycled material in the market, growing the circular economy and enabling more diverse waste streams to be used in end products. For more information on becoming an SPRA member, pop along to stand D021, at PDM on 19th-20th June 2018 or visit the SPRA website. Similarly, Impact will also be available to offer their expertise in plastic testing and innovation.